Arias Davis was a standout high school player for Coach E.B. Price at Waycross High and Ware County High School. For his senior year he was a part of the historic rst basketball team at the newly consolidated Ware County High School. In 1995 he led his team to the Region 1-AAAA tournament championship and a quarter nal berth in the state tournament. That same year he was named to the All-Area Team and earned Honorable Mention All-State honors. Arias played for the South team in the Georgia High School All-State game. He led his 1994-95 Gator team in scoring and was deadly from three-point range. Among the memorable three point shots and the one that perhaps tops them all was against the state’s No. 1-ranked Tift County Blue Devils. With the clock ticking inside 10 seconds, Davis hit a long range, desperation three-point shot that hit nothing but net and gave Ware an upset victory and a Region Championship. Davis began his college career at Otero Junior College in LaJunta, Colorado before transferring to the University of Illinois for his final two collegiate years. At Otero Junior College Arias Davis shot 45 percent behind the three point arc and 47 percent overall. 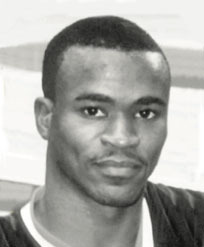 Davis played in many big games for the Fighting Illini under the direction of Coach Lon Kruger. In a game with Clemson University, Davis let his presence be known for those attending the game and for those viewing via national television. Against this highly ranked Clemson team, the junior guard came off the bench to score 20 points leading his teammates to a monumental 71-61 upset. Arias continues to live in Illinois residing in the Chicago area.